CES 2017 comes at an end tomorrow and yes we brought you some of the cool gadgets from some of the big names out there but there were some really cool stuff from not so big names too and while we weren’t able to catch them all (because we couldn’t literally get someone to represent us there this year). USA Today put together some of them and we really like their list. See them below and you click on the link to see some of the cool gadgets at the CES 2017. — Kado ultra-slim chargers. The credit-card sized unit fits into your wallet (or purse), and when pulled out, has two prongs and a smartphone cable to plug into A/C for a quick charge. The company makes a great point. Phones are getting slimmer, but chargers remain the same. “It’s time we have chargers that fit our mobile lifestyle,” says Kado chief marketing officer Yariv Ganor. 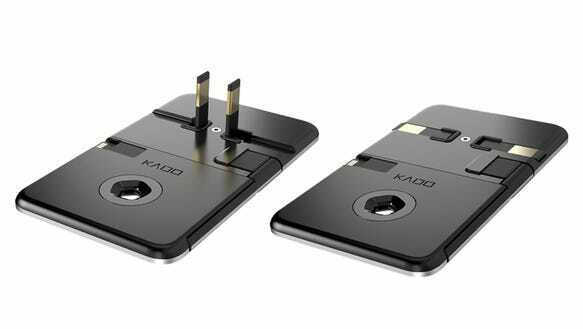 Kado, which claims the phone charger would be the world’s thinnest, is looking at a mid-2017 release.